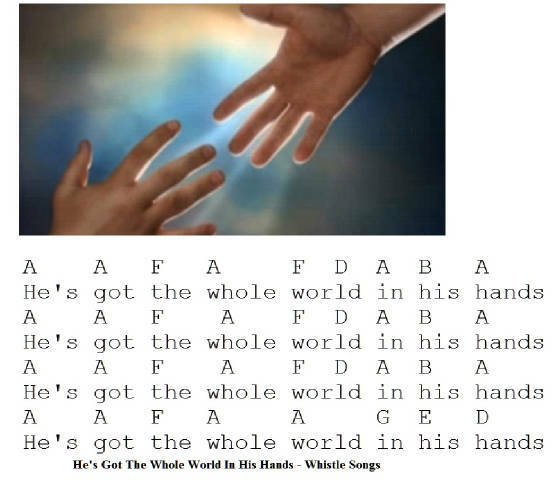 He's Got The Whole World In His Hands Tin Whistle Sheet Music, a Christian Hymme, also very popular with children. the youtube video will help you to learn the song. It's very easy to play along with.